A year full of surprises! Fortunately many of these reasons are good things, like the beginning of my studies at the university, several works in progress and more recently an achievement I expected many years: to become scientific illustrator within the CONICET (National Council for Scientific Research and techniques) wich is the Argentine government agency which directs and co-ordinates most of the scientific and technical research done in universities and institutes. A lifelong career in the place of my dreams! 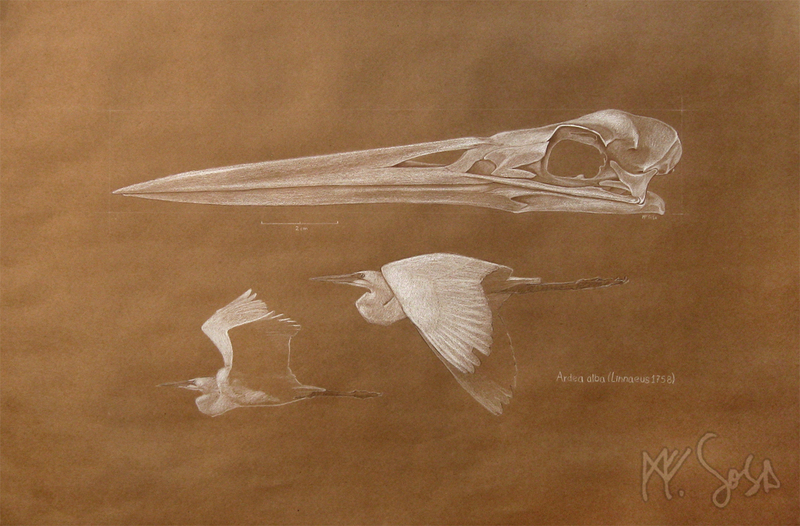 Drawing for an institute that works in the fields of animal morphology and ecology. In troubled times it is better to take action than sit to writing! 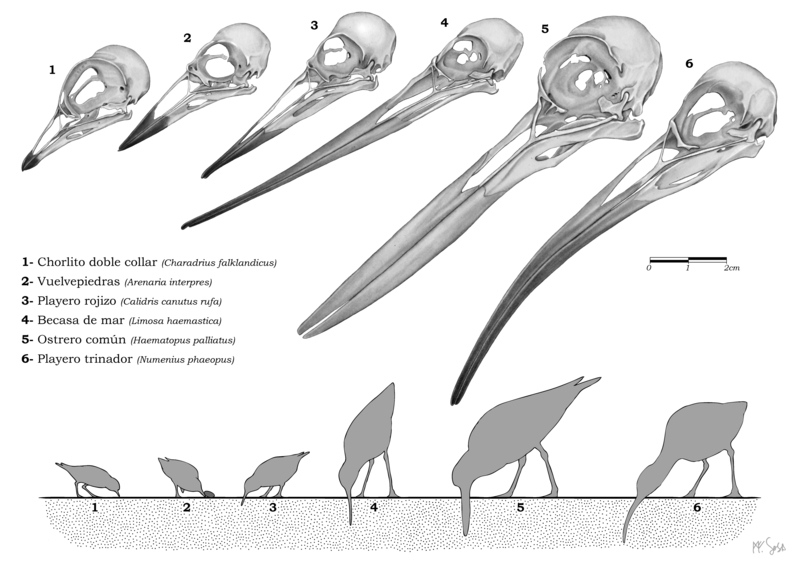 Anyway, for this special day, the World Shorebird’s Day, I will make a second post about a figure that I made early this year, about the San Antonio Bay shorebird assemblage! Greetings and thanks for visiting this blog despite my absence! I have been postponing my blog activities in favor of some vacations, and the beginning of my new student adventure: Bachelor’s degree on Visual Arts! Hoping to find some place on the graduate world and “papers” to allow me to teach properly. 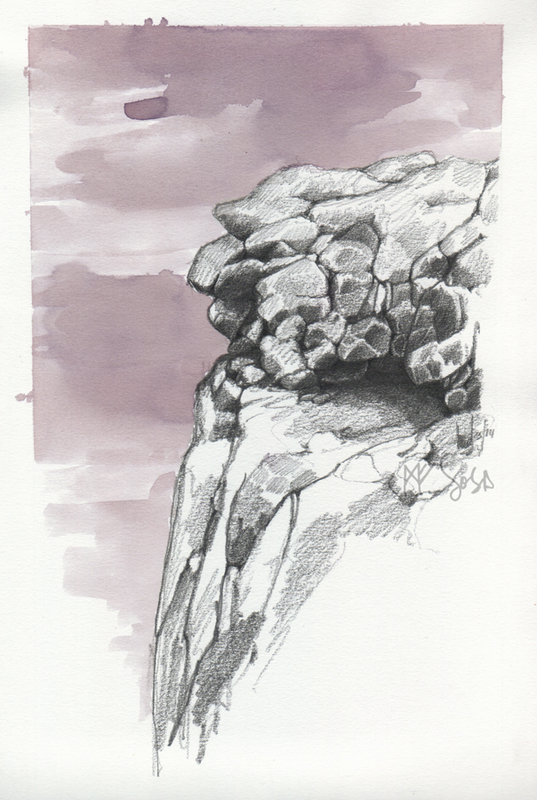 And speaking of teaching: I´m sailing to a new level of experience in workshops on field sketching. Poster for my next workshop! For many reasons,the discipline of scientific illustration catch the attention of many people, and is my deep purpose to finally set a full course to share what I’ve been learning the last years as a student, naturalist and professional. But, one of my biggest learnings is: not yet, not yet but soon.. 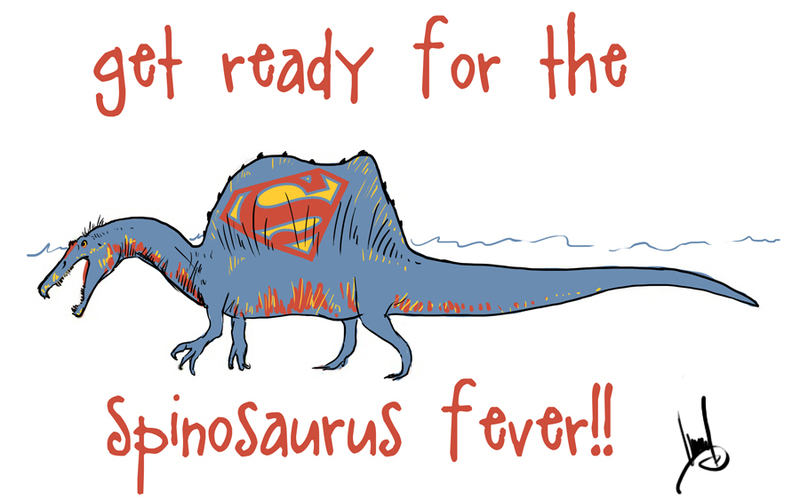 I still have lots of things to learn and for appropriately teach scientific illustration I need a well equipped space and tons of resources! So: not yet, but (hopefully) soon..
Well, I hope this year still keep many surprises! See you next time! Medical illustration is something I didn’t try yet, maybe because most of my clients are paleontologists with no links to medicine and maybe because I don’t know how to approach that world. The museum is focused on didactic activities for faculty students and general public, it is open and free all year (which is wonderful!) and for some reason, i find mesmerizing the surreal look of some of the specimens. What I do know for sure is that I will return to visit that museum and share the results here! Seems like that this wondrous beast is stranger than our love for his classic depictions can tolerate. Nature is odd, nature is wonderful. Perhaps is not all said about this behemoth, but meanwhile have to quench the thirst for draw! This is making waves as a drop falling into water! And the news has reached to the other side of the world and here is back, as the beautiful shorebirds. This is a reblog from the official blog of World Shorebirds’ Day, please take a visit and find a place close to you where people will take part of this great event! 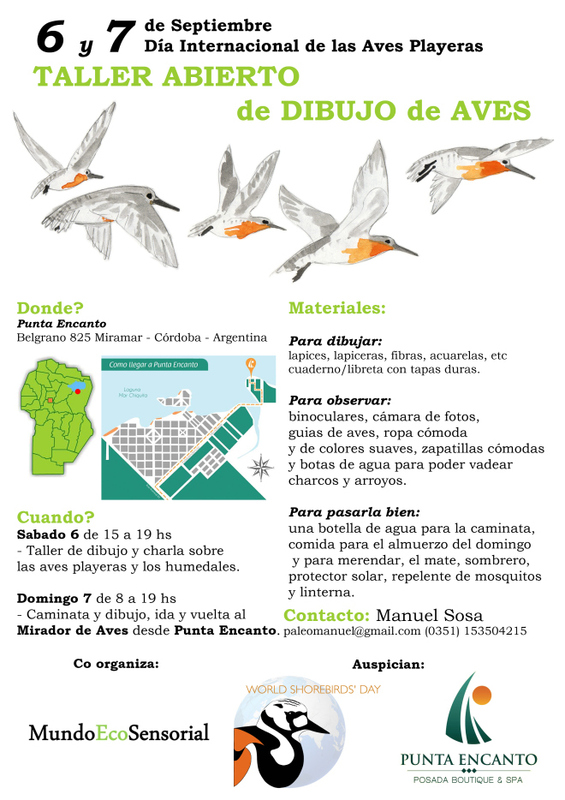 A couple of days ago Manuel Sosa decided to take part in the Shorebird Sketching Project to express his support for the World Shorebirds Day. Deep in the heart of Argentina, the Laguna Mar Chiquita is one of the few shorebird sites with hemispheric importance. Today he found himself as the leader of a shorebird workshop involving the local birding club, the COA Miramar, and the biologist, Marcela Castellino has taken the task to perform the talk about shorebirds at this important shorebird paradise. A local hotel has granted a place to do indoor activities. Manuel also set a Facebook event on his profile. 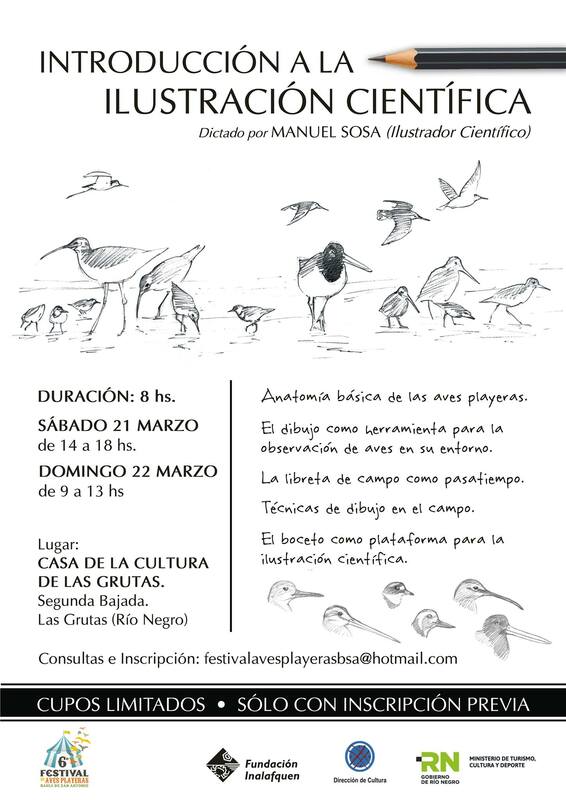 This is one of the self-initiated events under the umbrella of the World Shorebirds Day, which brings shorebirds closer to people and helps to have a few more hearts touched by these fantastic migrants. Well done Manuel! I have been very busy at work and life last month, so each time I passed by wordpress to check was it with some sad lack of time to write and translate a post. There is a biennial book fair in my town specially dedicated to childrens and young ones and one of the organizers is a family old friend. She encouraged me to participate at the second edition of a illustration contest, themed on stories for childrens. Since this is very different from my style theme this was a multiple challenge, therefore I chose a well known story and decided to explore the style of drawings that had old books. Somehow, it’s my dream as a child to draw things like storybooks of my childhood. 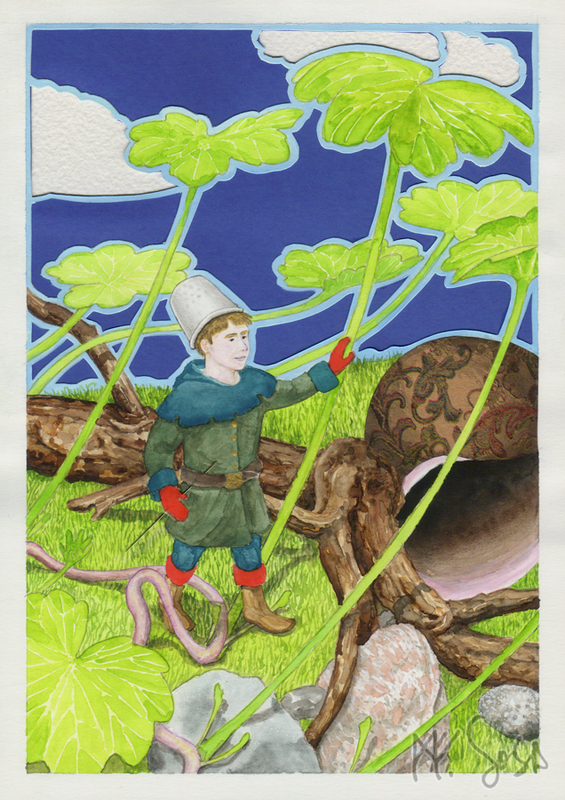 So here is my “Pulgarcito” (Tom Thumb – Thumbling) merry walking through the brush! I was selected! My drawing is among the 40 works competing for the prize at illustraciència 2 ediciò! There are very good artists and beautiful illustrations not only in the selected for the competition, but also in the more than 300 pieces of art submitted. Time ago I was celebrating a nice day with a bottle of delicious wine and felt so “happy” to draw something symbolic for the occasion. I like how the color of the wine has changed since I made it… from a beautiful light red to a very pale purple. Today the visits on my site reach a humble 3000.. for me and my low profile way to do this blog Its just AMAZING! Thank you all, silent passengers, for come in and take a look at my art, and specially thank you very much to my 16 followers! Knowing you are there, gives me fuel to keep on this!